Immerse Arkansas was established in 2008 as a response to the needs and obstacles of kids aging out of foster care. While serving as houseparents at a local group home, Eric and Kara Gilmore watched in disbelief as one of the young women they had cared for exited foster care the day after her 18th birthday. This young woman lived in 50 different placements while in foster care between the ages of 12 and 18. Now 18, she was dropped off at the Greyhound Bus Station in North Little Rock. She had one bag of clothes and one night’s worth of her bipolar medications. As Eric and Kara watched, they knew they must do something. With the help of many people, business, and churches, Immerse Arkansas opened its doors to provide supportive housing to youth aging out in 2010. Eric and Kara quickly became aware that there were youth who were not in foster care that needed similar support and began serving runaway and homeless youth. As the years passed by, the organization also began to serve youth exiting DYS and youth victims of trafficking and sexual exploitation. In 2016, the organization adopted the phrase “youth in crisis” as the broad description of the youth the organization supports. Immerse Arkansas set out to fill a gap in the child welfare system. As time has passed, other gaps have become startlingly clear. Beyond the critical role of supporting older youth, Immerse Arkansas is working to collaboratively address other system gaps until Arkansas is a great place to be a child in foster care. 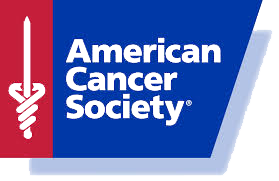 The Arkansas Apartment Association participates in two major charities: the Humane Society of Pulaski County and the American Cancer Society’s Relay for Life. The mission of the Humane Society of Pulaski County is to rescue, care for and find homes for abandoned, abused, homeless and unwanted animals; to reduce suffering of animals; to investigate, prosecute, and prevent abuse; and to reduce the number of homeless animals through adoption, spay/neuter, and through education. The Humane Society of Pulaski County provides access to low-cost, healthy, inoculated, sterilized animals to people seeking to adopt animals as pets only. Adopters are screened to see if they can provide the basics of care for the animals, proper housing, and continued veterinary maintenance; and have no history of animal abuse or irresponsible ownership. The Humane Society is a private no-kill shelter, supported solely by donations, fund-raisers, bequests and grants. We receive no city, county or state funding, nor are we affiliated with any other organization. We have been rescuing animals since 1946, and have been in our present building since 2000. The American Cancer Society Relay for Life is a truly life-changing event that helps communities all over the world fight back against cancer. Relay for Life is an organized fundraising walk that takes place overnight. Teams camp out around a track, and members of each team take turns walking around the track. The event also includes food, games, activities, and special events like the Survivors Lap and the Luminaria Ceremony. The Relay for Life began in 1985, when a doctor in Tacoma, Washington ran for 24 hours and raised $27,000 for the American Cancer Society. Since that day, the Relay for Life has become a worldwide event that has raised almost $5 billion to help the fight against cancer. The Arkansas Apartment Association participates in this event to fight back, remember, and celebrate those who are near and dear to us. Together, we will win the fight against cancer!